Our involvement in the CIS accreditation process provides an opportunity for the college to welcome external international scrutiny, ensuring that we continue as a world class education provider striving for continuous improvement to benefit all students. Bendigo Senior Secondary College was the in first government school to gain Council of International Schools (CIS) Accreditation 2001. The Preliminary Visit was conducted in 2000 which started our college journey with CIS through a confirmation of readiness to undertake a Self Study. The Self Study, saw the college engage in a very thorough review of all aspects of its programs and operations, resulting in a recommendation for accreditation which was approved in May 2001. Capture CIS Pic For WebpageBendigo Senior Secondary College is regarded as one of the shining lights of Victorian state education. 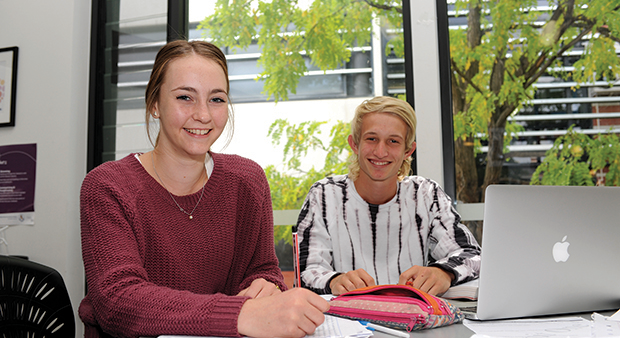 The concentration of expertise in senior school programs, use of ICT and focus on innovation at Bendigo Senior Secondary College are highly regarded within Victoria and beyond. We have a culture of continuous improvement and accordingly we embrace the opportunities provided through the CIS accreditation process which supports deep reflection and analysis. In 2009 the college engaged in a Preparatory Visit process in readiness for application for ongoing accreditation with the CIS. The Preparatory Visit, in October 2009, confirmed the college’s readiness to undertake the Self Study process and highlighted a number of significant strengths within the college. The college community worked throughout 2010 to ensure that the Self Study process could be completed thoroughly and with high levels of consultation in time for the successful Self Study Team Visit in March 2011, which resulted in the college’s reaccreditation as a CIS college. In April 2013 BSSC will complete the Frist Year report on Progress and Planning. The college is devoted to its mission. It cares enough about what it does to seek validation by a recognised accreditation authority. The college knows itself. It has thought deeply about the services it offers to students, family and community. The college is student-orientated. Its philosophy of education is suitable for the students on, and encompasses the development of the whole individual. The college keeps its promises. It promises only what it can deliver. The college accepts objective assessment. It is prepared to open its doors periodically to regular evaluation by the school community and by outside experienced evaluators. The college is constantly seeking to improve its performance in curricular and other areas. The college plans for the future. As part of the on-going nature of the evaluation process, accredited schools are continually planning future developments.